One of the best examples of martyrs can be found in Foxe’s Book of Martyrs. The link is below. This is a must read for anyone who wants to know what happened in the early church at the time of Christ’s death up until the sixteenth century. Indeed, we are indebted to John Foxe for his relentless pursuit of truth. Today we’ll be looking at just the first four persecutions that began under Nero in 67 AD to Antonius in 162 AD. “This was the occasion of the first persecution…he (Nero) had some sewed up in skins of wild beasts, and then worried by dogs until they expired; and others dressed in shirts made stiff with wax, fixed to axletrees, and set on fire in his gardens, in order to illuminate them. This persecution was general throughout the whole Roman Empire; but it rather increased than diminished the spirit of Christianity. In the course of it, St. Paul and St. Peter were martyred. “The emperor Domitian, who was naturally inclined to cruelty, first slew his brother, and then raised the second persecution against the Christians. In his rage he put to death some of the Roman senators, some through malice; and others to confiscate their estates. He then commanded all the lineage of David be put to death. “Polycarp, the venerable bishop of Smyrna, hearing that persons were seeking for him, escaped, but was discovered by a child…He was, however, carried before the proconsul, condemned, and burnt in the market place. Justin, the celebrated philosopher, fell a martyr in this persecution…The second apology of Justin, upon certain severities, gave Crescens the cynic an opportunity of prejudicing the emperor against the writer of it; upon which Justin, and six of his companions, were apprehended. Being commanded to sacrifice to the pagan idols, they refused, and were condemned to be scourged, and then beheaded; which sentence was executed with all imaginable severity. In 300 AD North Africa and Asia Minor held the majority of the Christian population and by that time 410,000 people had become martyrs for the Lord. (1) Now we have a small, but hopefully useful perspective of what’s taken place within the body of Christ just in the first three hundred years of Christianity. As you can see, many suffered gruesome deaths for the cause of Christ without lashing out to save their own lives. With that in mind, let’s move on to the case of Joseph Smith. Mormons would have you believe he died a martyr. 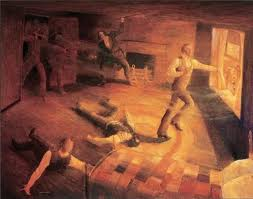 While I don’t condone the mob’s actions of storming the jailhouse to gun down Smith and his brother Hyrum, the question of martyrdom remains. From the previous examples we saw Christians were arrested and tortured mercilessly unless they denounced Jesus Christ as their God. After they were tortured and still refused to denounce Jesus as their God, they suffered the death of a martyr. They willingly went to their grave. That means they didn’t fight back. Three main criticisms of Smith had been published in Nauvoo Expositor on June 7, 1844. They were polygamy, exaltation & false prophecy. 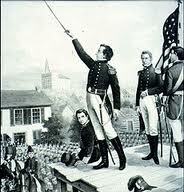 Smith was mayor of Nauvoo, Lt. Gen. of the Legion of Nauvoo, Pres. of Nauvoo city council & Prophet of the Church. Nauvoo City Council declared the destruction of newspaper for June 10, 1844. The four men were charged with riot by Illinois Governor Ford and issued a warrant for their arrest with a guarantee of safety. 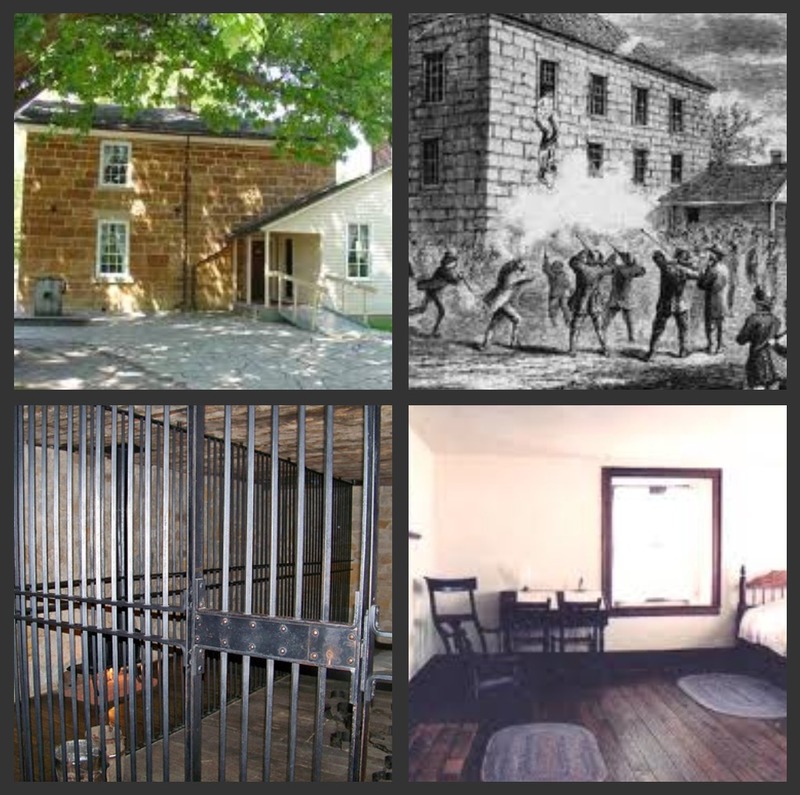 June 25, 1844 Joseph & Hyrum Smith arrested and incarcerated in Carthage Jail. Additional charges of treason are levied against Smith for declaring martial law. This is a capital offense. 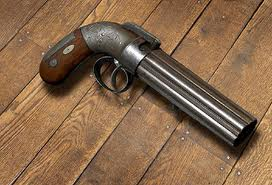 Guns were smuggled into jail by Elder Cyrus H. Wheelock and given to Smith brothers just hours before the arrival of the mob. Jailor at Carthage takes a sudden leave of absence with family. Mob approaches Carthage jail, gets into gunfight with Joseph & Hyrum. Hyrum is shot and killed. The following two quotes serve as examples of what members of the Church think about the death of Joseph Smith. As you can see, they have tried to exploit the true meaning of the word “martyr” and have perpetuated the lie down through the years. Shed his blood for truth? So we must ask the obvious questions here. What was he charged with when incarcerated at the jail in Carthage, Illinois? Was he incarcerated for the defense of Christ or was it because of a crime committed? How did Joseph Smith give his life for the testimonies of the Mormon Church? Did Smith’s death pay for your sins or give you eternal life with Jesus? Did he spill his blood willingly to promote the faith of Mormonism? Or as history loudly proclaims, did Joseph Smith die in a shootout at the Carthage Jail while trying to save his own life? What did the “martyrdom” of Joseph Smith do for the Mormon people? Allow Jesus to do that for you my friend. 2. Willard Richards was an apostle and the first cousin of Brigham Young. : a person who is killed or who suffers greatly for a religion, cause, etc.